Item Number: 280-1-202 17646 Actual Weight: 2 lbs. Designed to be used twice! Items can be sent and returned in the same mailer. Lip contains two self-sealing adhesive strips with a perforation in between allowing reuse. 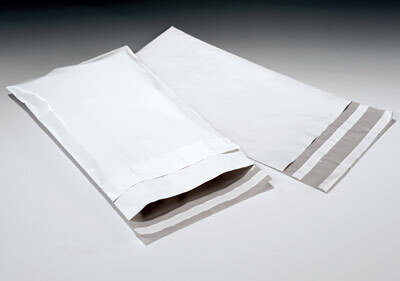 Super-strong mailers are made from multiple layers of coextruded film and have supreme puncture-, moisture-, and tear-resistance. Self-sealing closure creates a tamper-resistant seal.